Dealing with what comes naturally isn’t easy, especially for animals. 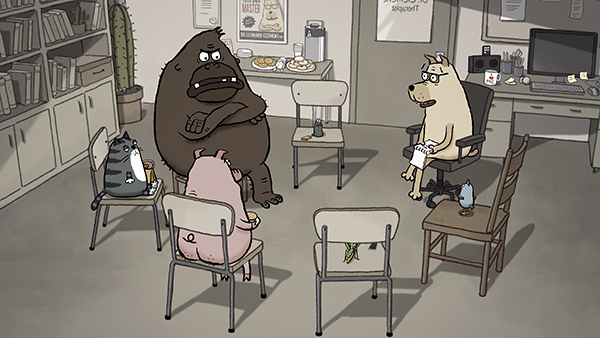 In this latest animated short from the Oscar-winning team of Alison Snowden and David Fine (Bob’s Birthday), five animals meet regularly to discuss their inner angst in a group therapy session led by Dr. Clement, a canine psychotherapist. Nominated for an Academy Award in 2019 for Best Animated Short.